LOOKING FOR TWO 30'' X 30 '' FINISHED WALL CABINETS FOR STORAGE. 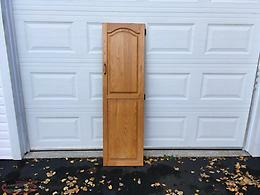 Tall oak kitchen cupboard door. 17 3/4 inches wide by 61 3/4 inches high. 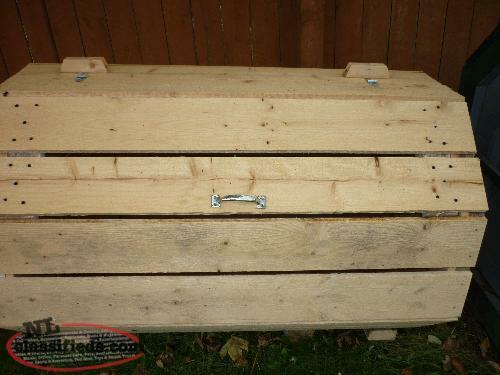 WOODEN GARBAGE/STORAGE BOXES 30" WIDE X 48" LONG OCTAGON SHAPE - $120.00 EA. Hi, I'm interested in the 'WANTED STORAGE CUPBOARDS' posted on NL Classifieds! Please contact me if still available.